If you were at our recent meetings you will know that it is Len who has been leading on this. Len has put a huge amount of work to ensure the views of as many of our members as possible are included, so please do let us know what you think. AND - if possible please don’t leave it until the deadline (Thursday 18th October) to send any comments you may have, the sooner we receive them the more time we have to consider them before the meeting on 20th October. I should also mention Sam for sorting out the graphics in the document. I am pleased to be able to say that Sue Sanctuary has been appointed as Project Manager to oversee the setting up of the new Foundation. Sue will be there for at least the start of our meeting on 20th October so I will introduce her properly then. We have been working on a project to re-tender the existing concessions pitches across parks and city docks estates. Originally, the aim was to commence this tender in January 2018, but the project has been considerably delayed. The project includes the tender for all existing pitches and some new pitches. The intention is, where possible, not to be prescriptive about the nature of the concession to ensure we are allowing a fair and competitive process to take place. We have applied for Street Trading consent for all of these with the exception of Ashton Court as North Somerset do not wish us to gain consent prior to tender. Street trading consent requires us to place notices in each locations which will be placed on the noticeboard where possible. The applications can be viewed at: https://www.bristol.gov.uk/licences-permits/street-trading (PDF at the bottom of the page) and representations need to be made to licencing@bristol.gov.uk. If anyone wishes to register for the tender they should send their details through to: concessions2018.enquiries@bristol.gov.uk. The process has been delayed several times and we apologise for any issues or distress this has caused, but we feel that the delays have been justified and will ensure that all concessions are operating under consistent conditions and that the concession fulfils both the needs of the City Council and of the Communities using the parks. All Concessions will be given a licence to occupy a pitch and the licence will be clear that they are only allowed to trade from that pitch not roam around the park. There have been issued raised about waste and removal of waste in the parks. The Operator will be responsible for providing waste receptacles near their pitch and for the removal from the site of all waste generated. We are now intending to commence our tender at the end of December 2018/early January 2019 with a view to starting all new contracts from April 2019. All existing operators have been contacted and their licences extended to 31st December 2018. 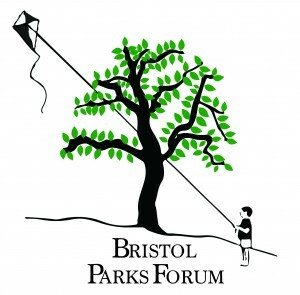 It has been a particularly busy summer in Bristol’s parks. Gemma Dando has written saying that it would be good to hear any feedback - lots of use but probably lots of issues? If you can let us have your thoughts by the end of next week, we will collate them and send them on. There is another chance to find out about Bristol’s Urban Buzz Project with an illustrated talk by Hayley Herridge on Monday 8th October at 7.15pm at Westbury on Trym Village Hall.